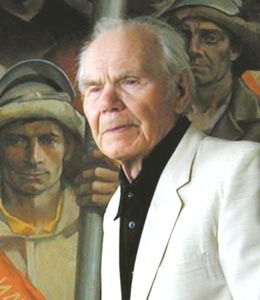 A member of the Union of artists of Russia since 1960. Honored artist of the Russian Federation since 1973. Master of genre painting, including historical and revolutionary themes, portraits, landscapes. Pyotr S. Bortnov was born 31.05.1918 in the village of Nizhnyaya Salda, Verkhotursk district. Died on 26.05.2013 in Nizhny Tagil (Russia).